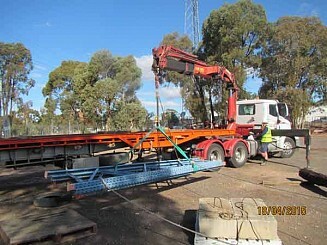 This Vehicle Loading Crane Course covers the required knowledge & skills for the safe operation of a Vehicle Loading Crane>10 metre tonnes and is required for participants to complete if applying for their High Risk Licence (Class Type: CV) from WorkSafe Victoria. 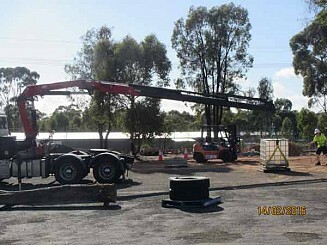 Experienced Operator Course - 3 days (Must be able to provide proof of operating experience). 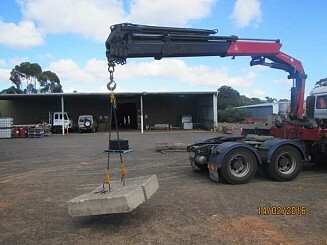 We can also deliver this course on your site using your Vehicle Loading Crane (conditions apply). Please contact us for details. Please note: Participants are not required to hold a Dogging LIcence to undertake this course at this stage, however this will change in September 2019. 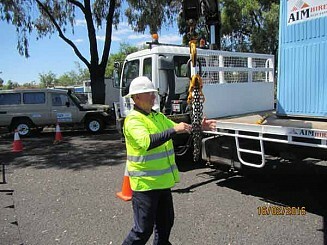 Participants are recommended to hold their Construction Induction OHS (White Card), if operating machinery. 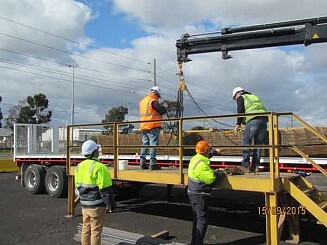 This course covers such topics as planning the work, conducting routine checks on the vehicle loading crane, setting up the crane, transferring loads in a safe manner, and shutting down and securing the crane after the completion of operations. 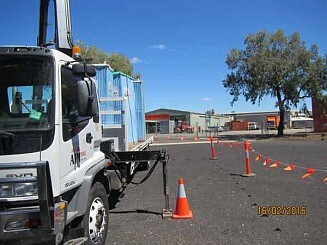 The new Assessments Instruments have been implemented nationwide for all High Risk Work Licences with Victoria being on the 1st October 2012. One of the major changes for some of the licences is that there is now a Calculations Assessment required as well as the Written and Practical Assessments. 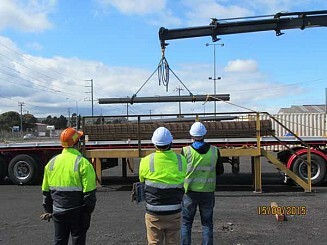 The Vehicle Loading Crane is one of these licences, and the time that we have to allow for all the assessments to be completed is 5 hours which has added a day onto the training course. 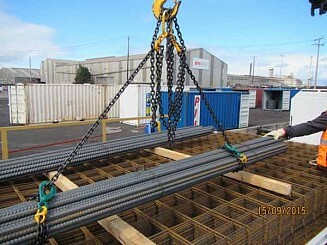 We appreciate that some people may be really good crane operators which means they should have no problems with the practical, but the theory is what we are finding that people are having problems with. 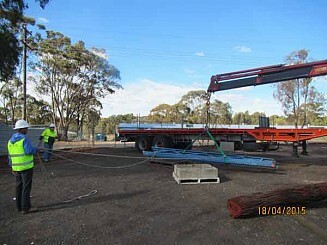 Because this unit of competency is nationally accredited, it involves questions about the new Work Health and Safety laws that all other states have adopted. Even though Victoria has chosen not to adopt these, the unit still requires the candidates to have knowledge of them. This is why it is so important that you must STUDY the information in the Study Guide. Just reading it once is not enough. Since this High Risk Licence went national, we have found that there is only a 70% pass rate due to the theory component of this course. We used to offer this as a 3-day course but feedback from students who have attended this course, all said that an extra day would prepare them better for the written and calculations assessments. 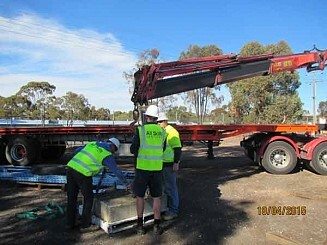 As from 1st October 2012, candidates have to prove they are competent as per the unit of competency – TLILIC0012A – Licence to operate a Vehicle Loading Crane (capacity 10 metre tonnes and above), (which has upgraded to TLILIC0012 in 2016),whether they do this by providing documented evidence, or undergo training through a Registered Training Organisation (RTO). 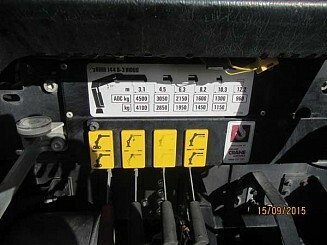 This means they have complied with the new National regulations for High Risk Licences and the accredited assessor can sign off on their application for a forklift licence. 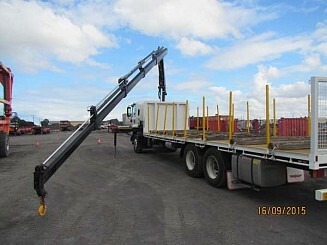 All participants are required to study the Vehicle Loading Crane Study Guide and complete the Learner Workbook prior the course. This puts everyone attending the course on the same base level of knowledge. It is very important that you STUDY the information in the Study Guide. Just reading it once is not enough, and you need to have the book longer than a week. 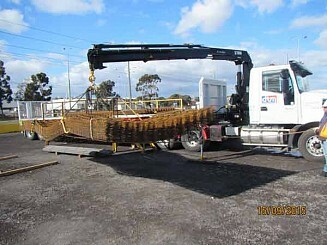 There is a Vehicle Loading Crane Learner Workbook that we ask all participants to complete prior to the course. Your answers are a guide for the trainer to identify how well you understand the information in the Study Guide, and identify areas that may require more coverage during the training. Photo ID (e.g. Australian Driver's Licence, current passport, Proof of Age Card, KeyPass). If you do not have a Victorian Driver's Licence, then you will need to bring your photo ID and also an official document stating your current Victorian residential address e.g. bank account statement (with sensitive information blanked out, rent receipt, utility bill, Centrelink Card, etc). If you are unsure, please contact our office before the course date. "No complaints. The whole course was conducted in a very professional manner, easy to understand and in a comfortable environment. Thankyou to (the trainer) and the team, job well done. I will definitely recommend All Skills to people in the future. "THE BEST TRAINING COURSE I HAVE EVER ATTENDED. The attention to detail by (the trainer) was above and beyond what I expected the course to deliver. We came away with so much more knowledge (not found in a book), due to (the trainer's) level of experience in the real working world. 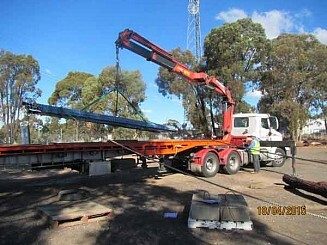 I would advise anyone who wants a Vehicle Loading Crane licence, to go to All Skills Services, as you will get way more than just a ticket - you actually walk away knowing how to operate it safely and correctly. And he's a rippa bloke too! And (the Administration Manager) was fantastic in the office and nothing was a bother. 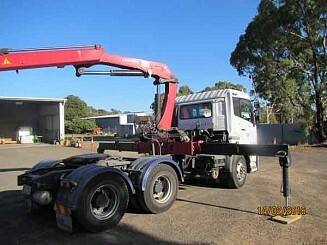 A really professional, well-run, experienced training company." 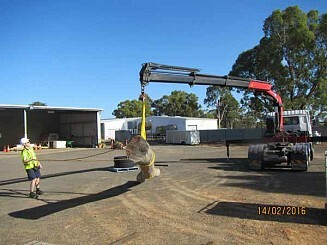 "I did the course for the High Risk Licence. (The trainer) was an outstanding teacher. Learnt so much. A+"
"Did course for the High Risk Licence. Learnt more than I ever did." 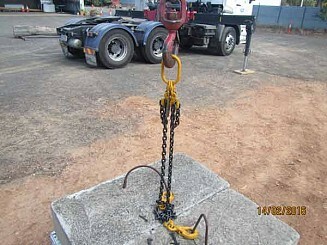 "This course was the best thing I could of done to improve my skills and knowledge of safe crane operation. 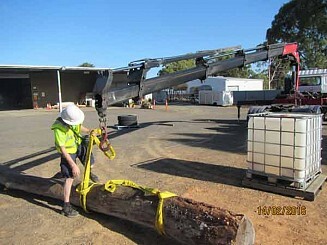 All Skills are very professional & help you understand WorkSafe rules & regulations. All Skills showed me the consequences of unsafe work practices and opened my eyes to how important safety & proper training is for any company or business." "I was very impressed with quality of the course offered by All Skills. The content was thoroughly delivered with a good balance of theory and practical components. I enjoyed the course and felt like I learned a lot from it." "Very happy and would recommend people to go through All Skills." "Well presented at all times. Easy to approach. Treat everyone in the course the same way. A hard man but very fair. Thank you for your time and effort." "Top training and top tactics and great people skills." "Top training tactics and great people skills." 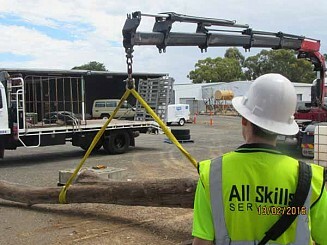 "Excellent training system (by All Skills Services). Thank you very much." 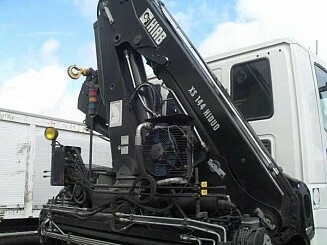 "Very friendly, helpful, and enjoyable people to work with. Cheers." "Test needs to be split into smaller parts as a full sit down is mentally fatiguing (CV>10m)." "Far exceeded my expectations. The passion & industry knowledge of the trainer was exceptional. I wish everyone training was this good. I could not recommend this (CV>10m) course and trainer highly enough. I know I will be a lot more professional in my job as a result of this week." 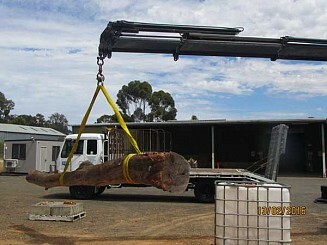 precise material, and a confidence gain that the equipment we use, we are capable of using, not just a licence holder." 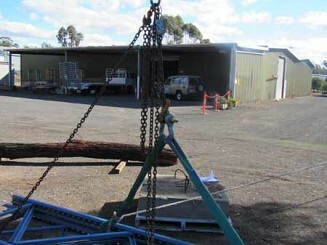 "Equipment was of average quality but was provided by the company not All Skills Services. 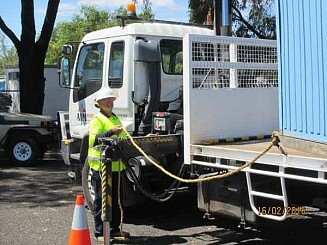 The equipment provided by All Skills Services was of excellent quality. 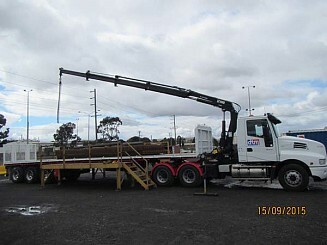 The (High Risk Vehicle Loading Crane) course was difficult although it has given me more knowledge and confidence than I expected to achieve from the course, and well worth the time.